Alien Explorations: Pink Panther #33 published by Gold Key referenced in HR Giger's Necronom V? 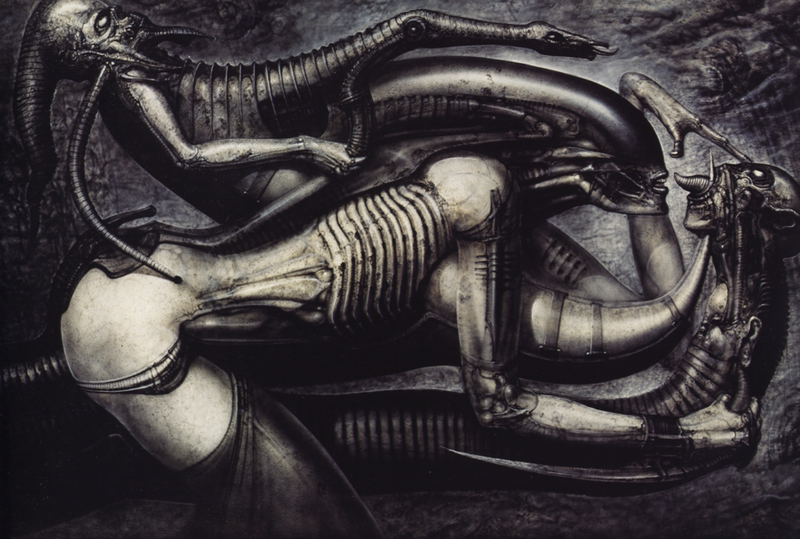 referenced in HR Giger's Necronom V? a) A motorcyclist over a car driver becomes abstractly transformed. Does the female biomechanoid's curved head conform to the general idea of the VW Beetle's roof? 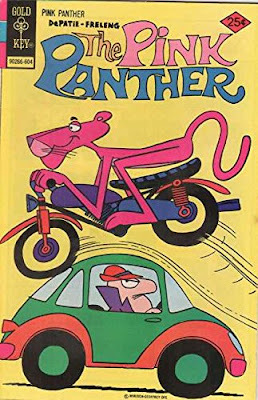 Does the ribbed seat of the motorbike become ribbing across the body of the figure in the upper left and is that same figure Inspector Clouseau's atrophied remains. Does the rear wheel of the bike transform into the female motorcyclist's rear and does the exhaust pope become the mechanical protrusion attached to her rear. .
b) Looking at Giger's possible interest in this Pink Panther comic book cover, he might also have been connected with an Egyptian book of the dead image showing the mummification ritual such as the one showed here. If I dare imagine that there was a connection for the comic book artist, the green and orange in the colour scheme in comparison with this certain image is interesting . 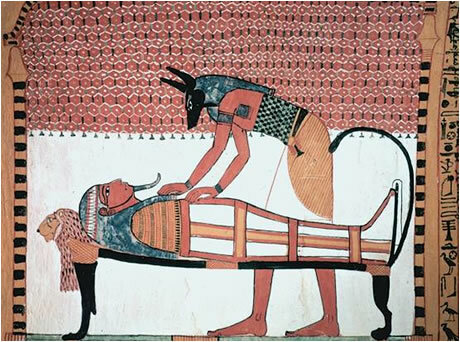 Perhaps popular Western culture back then hung on the idea of Egyptian imagery because of the popularity of the Tutenkhuman treasures ..